Well it’s been almost a week since American River 50 and I’m finally walking normal again. 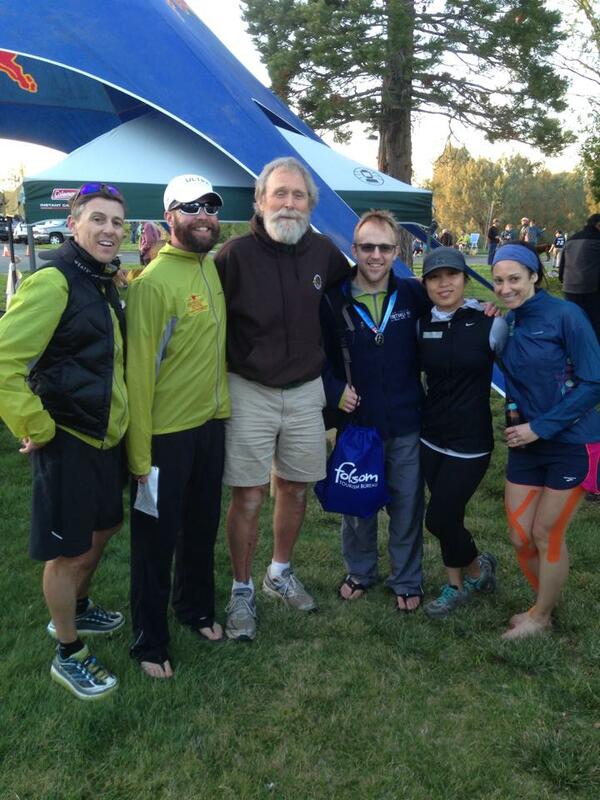 I’ve realized that I’ve raced Way to Cool 50k , Canyon Meadow Trail Marathon, and now AR 50 without a blog post or race recap. I think my lack of blogging and or race reporting has been due to my feelings about my running this year. I had a sub 5 hour Way to Cool 50k on a difficult muddy course , took 3rd in age group at the trail marathon, and did a little over 9 hours for AR 50 but none of these felt great. I felt like most of my racing this year has been more plaqued with nagging injuries and just hasent been as enjoyable as years past. So regardless of my times or placement in the races, they’ve all been internally mediocre. I month back slipped at W2C 50k and really tweaked my right hip which has been uncomfortably painful since and thus heaving effecting my right IT band. I’ve gone to ART / PT which has helped but I haven’t been helping myself as much as I could be with stretches and exercises and that’s where my dilemma lies. Last year I was a spokesman for ultra running and I couldn’t go five seconds without talking about a race past or present or the epic training run I just had. This year I’ve just been going through the motions and not being that voice on top of the mountains… My nagging injuries have been part of the issue and the other part is I’ve seem to have lost a bit of my mojo. Maybe Dr Evil went back time and stole my mojo, hahaha. It’s also weird to see my results and no I’m improving as a runner but feel disappointed my efforts , that’s another conundrum I can’t figure out. I ended AR 50 last Sat swearing I was retiring from Ultras as I looked down at my swollen ankle , the pain screaming from my hip, and my legs and arms breaking out with poison oak. 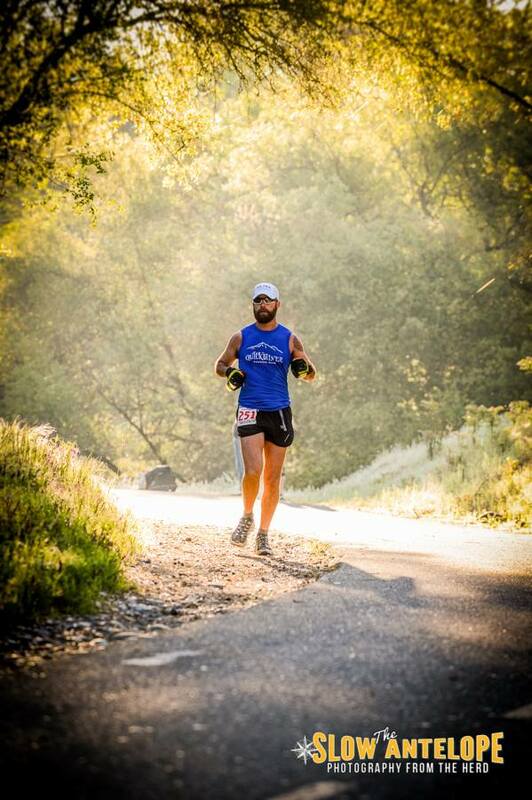 A few days later I had a little change of heart and agreed to finish my upcoming 50k in Tuscany , Quicksilver 100k , and Tahoe Rim Trail 100 miler. I’m hoping my body and mind are up for that challenge..
As I’ve grown as a trail runner and got more competitive this year I’ve learned my limitations of my skills are not from a lack of running its due to ONLY running . My body can’t handle the constant racing and 50-60 mile weeks without some major strength training. It’s this lack of strength training that has been causing my injuries (I believe) and holding me backs from my full potential. The tough part is I may have bitten off more then I can chew this year with my 12,000k in climbing at the 100k and my 100 miler. It’s kind of hard to newly implement a strength training regiment and still get ready for these races (sadly I have to work too). I’ll be spending another few days off from running and getting my ART done on Tuesday which will hopefully open up my hip and allow to crank right back into some serious mileage. But one great thing has come out of this year and words could never describe my pride.. My amazing wife has been by my side running all these races with me so far this year. She’s completed her first 50k , 50 miler, trail marathon, and one more 50k in a few weeks to knock of her list. While I don’t consider myself a super emotional guy , tears have joy have flooded my eyes many times this year watching my wife cross the finish line. She’s one of the most amazing creatures I’ve ever seen. Her will and determination is like nothing Ive ever seen before. I’m thankful for having her in my life and blessed every second of this life I get with her. Hang in there chief and take some time off. Sounds like race burnout! Half hour max, two times a week: Parallel back squat 3 x 2, full recovery between sets, max weight (at least by your last set of two). Bench 3 x 2. Mix in assortment of ancillary lifts: lunges, dips, curls, pull down, etc. High weight, low rep, full recovery. Makes you strong!